It is through traveling that we gain a greater appreciation of the world we live in. 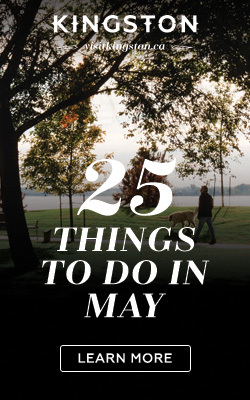 Take advantage of this season to go out and explore! 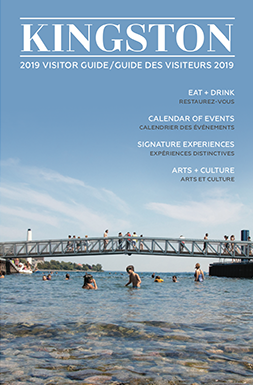 Whether you’re adventuring to the next town or flying across the country, be sure to take a peek at the top travel picks that Kingston shops have to offer. Gentlemen, are you ready to hit the road? Check out UNDR for Men providing a unique one-stop shop for men. Undr has an amazing atmosphere that provides for a diverse clientele. 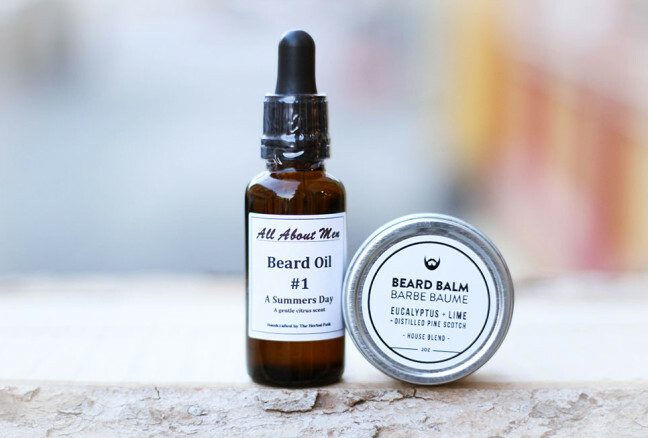 Always Bearded is a brand focused on providing the best products for the modern bearded man on the move. 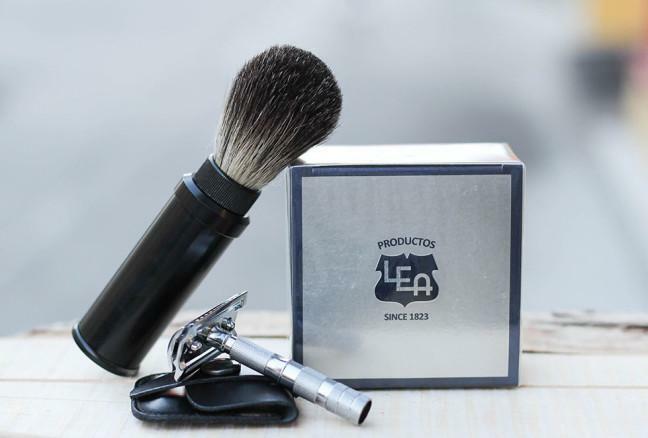 Check out the travel sized options and grooming sets and brushes. Check out the Beard Balm and Beard Oil that you can put right in your travel pack. A beautiful balm blend of eucalyptus + lime with distilled pine scotch will leave you smelling like a king this Christmas. Get cozy and stylish as you put on the Abaka Bamboo long tee. Make your travels more enjoyable this Christmas travels while being in the comfort of the soft bamboo long tee. Document the beautiful moments while traveling this Christmas season. There is nothing better than having a journal to keep track of the wonderful Christmas memories with family and friends. 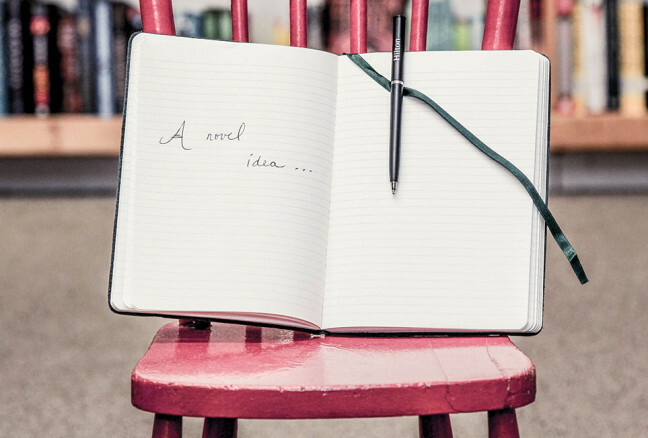 Check out Novel Idea’s Moleskin Journals – they’re beautiful and come in many different sizes and colours. Casa Cuero is only two months old and ready for you to check out their beautiful leather collections this season (formally owned by City + Cargo). Planning on traveling to visit friends and family? Consider the beautifully designed Duffel Bag and Tote Bag to join you on the journey. 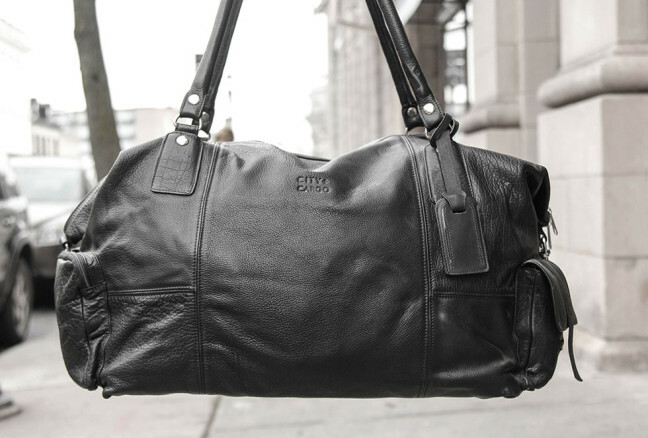 The Duffel Bag is a full size travel duffel and made out of genuine leather, and available in black and brown. Permanently riveted shoulder straps with removable cross body strap. Dual exterior pockets at each end with magnet/tuck strap and zip closures. Zero synthetic materials. 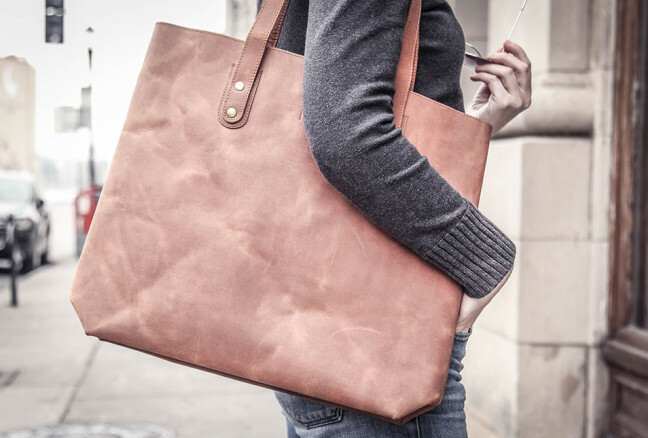 The Tote Bag is a classic unlined 8-rivet tote with a 9″ drop. Rear side interior full leather riveted hanging pocket. Coming soon to Casa Cuero: a Sunglasses Showroom featuring designs by Dicks Cottons. Cyndy Gibson, owner of Kingston’s Blueprint Clothing (and Agent 99), brings so much to the fashion scene here in Kingston. You will be forever amazed with the local spirit and incredible designs that Cyndy brings to her stores. 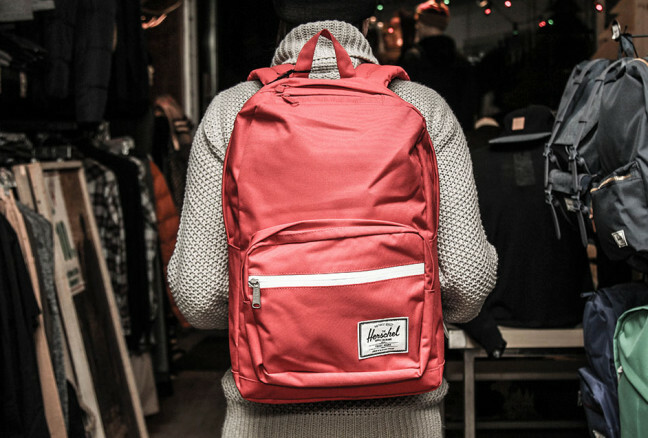 Before you head out on a day trip, consider stopping in at Blueprint and check out the amazing collection of Hershel Backpacks. The backpacks feature a wide range of pockets to keep your journey organized and dry. Start with learning and loving the Canada you live in. 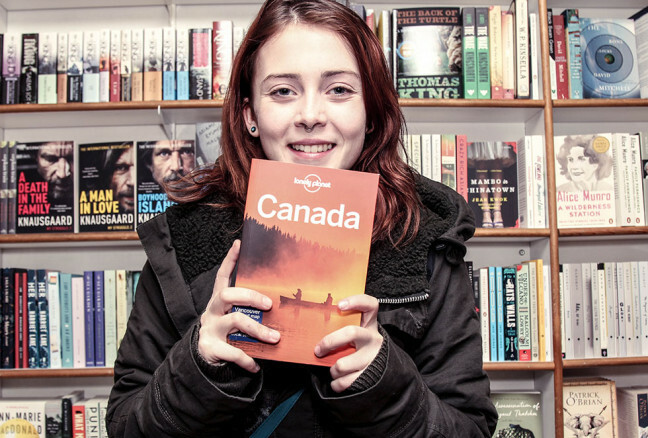 Allow Novel Idea’s Lonely Planet Canada to guide you into the secret dwellings of our beautiful country. Meet Erin Fleming as she shops for her mother’s Christmas present. 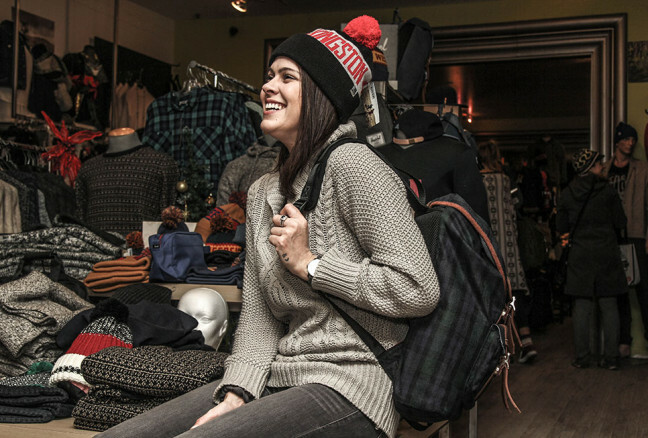 Thank you to all the Kingston boutiques for taking the time to share in the awesome of their local products and collections for the wandering traveler this season.